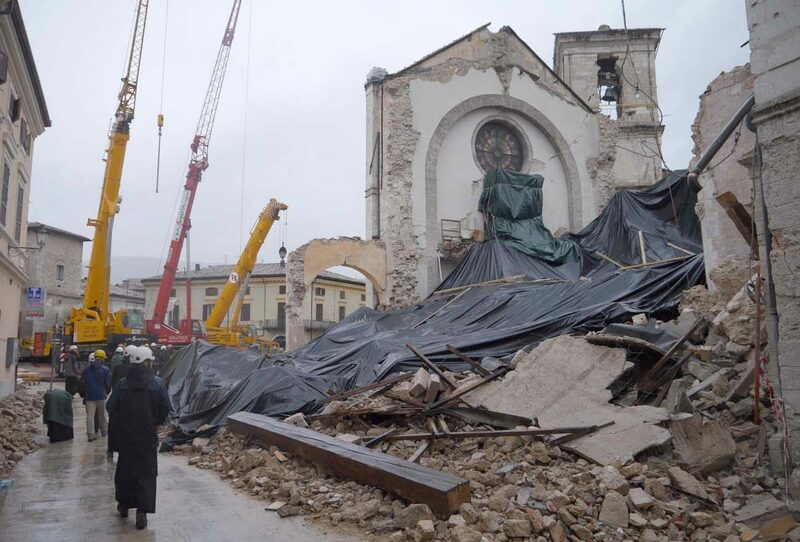 ROME (CNS) — The Latin-liturgy chanting, beer-brewing Benedictine monks of Norcia, Italy, the birthplace of St. Benedict, are living and praying in temporary structures after an earthquake in August damaged their buildings and a big quake in late October razed their basilica, except for the facade. The monks have not been able to brew beer since before the summer quake, but in a newsletter to supporters in mid-December, they reported that bottles shipped earlier to the United States are available for Christmas gift giving. Their U.S. online store — birranursia.com/purchase/ — has all the details. The purchase of beer will help the monks rebuild and will help the devastated town of Norcia. Before the earthquakes, the monks were tithing 10 percent of beer profits to charity. Now, they said, 15 percent of profits will go to charity and a portion of all earthquake-recovery funds raised will be used to help the people of Norcia rebuild. Outside of Norcia, the monks have set up a temporary monastery, and they announced in early December that Sunday morning Masses open to the public would be celebrated in their makeshift Chapel of St. Andrew. “The brewery, which was located in the basement of the now-ruined monastery, was largely spared of any damage,” according to the monks’ website. But local officials declared the building unsafe and off limits.